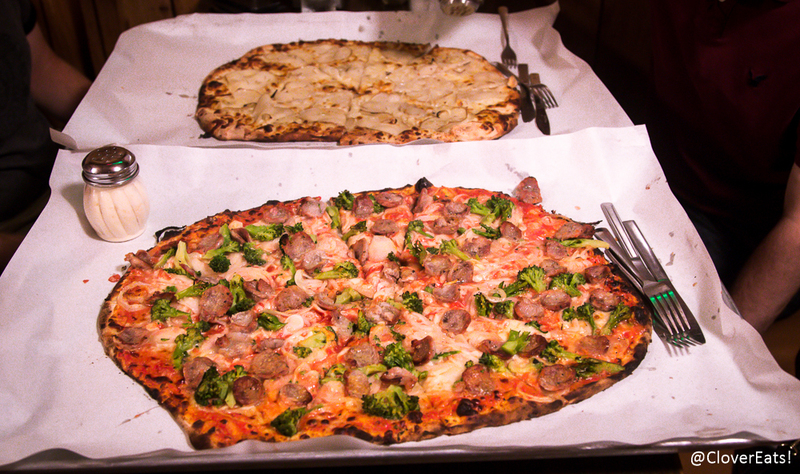 CloverPizzas: Sally’s Apizza in Wooster Square, New Haven | Clover Eats! To be honest, we had originally planned to check out Pepe’s, the rival pizzeria to Sally’s, but the line was so long we skipped it. Both are in the cute neighborhood of Wooster Square, just a few steps from each other. 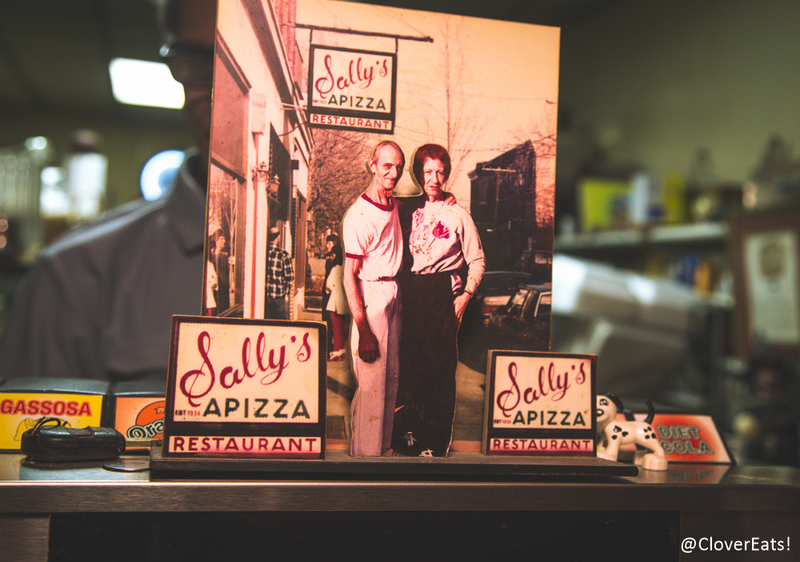 They go way back, and Sally’s was actually opened by Frank Pepe’s very own nephew. How’s that for drama? 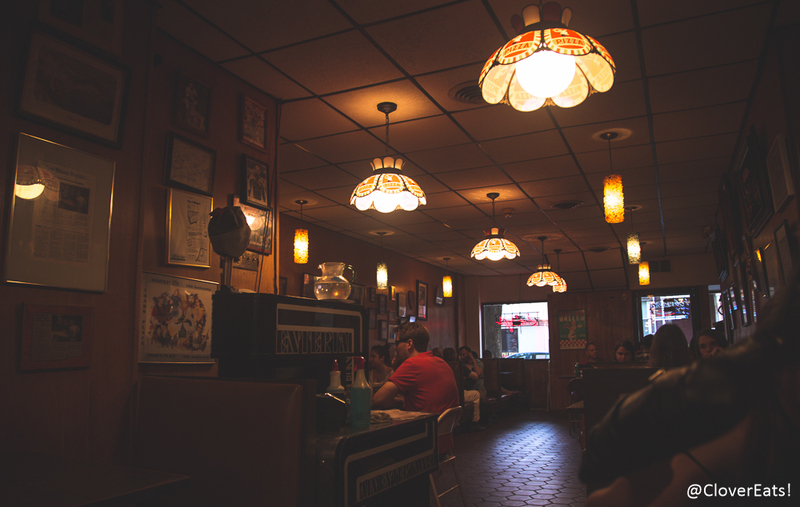 There are reportedly long lines for Sally’s too, but we were able to get seated immediately. 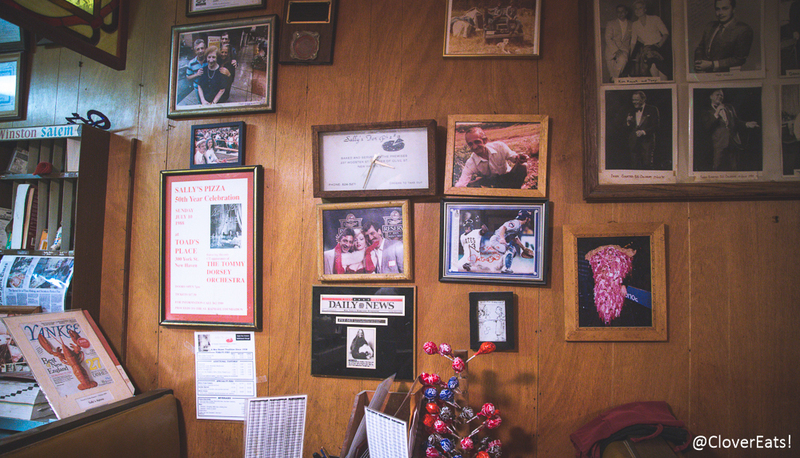 It’s a hole-in-the-wall sort of restaurant, nothing fancy, dark walls covered with photos and signatures of famous patrons who visited throughout the years. Gassosa is a lemon-flavored sparking Italian soda. 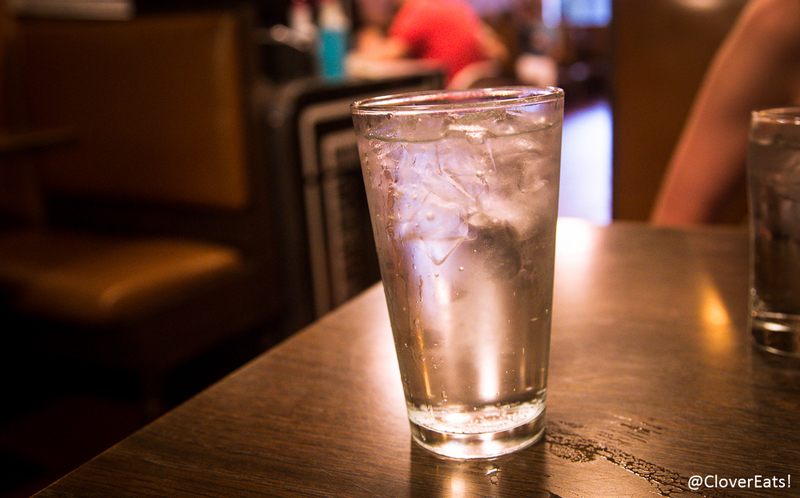 It tasted pretty much the same as Sprite. 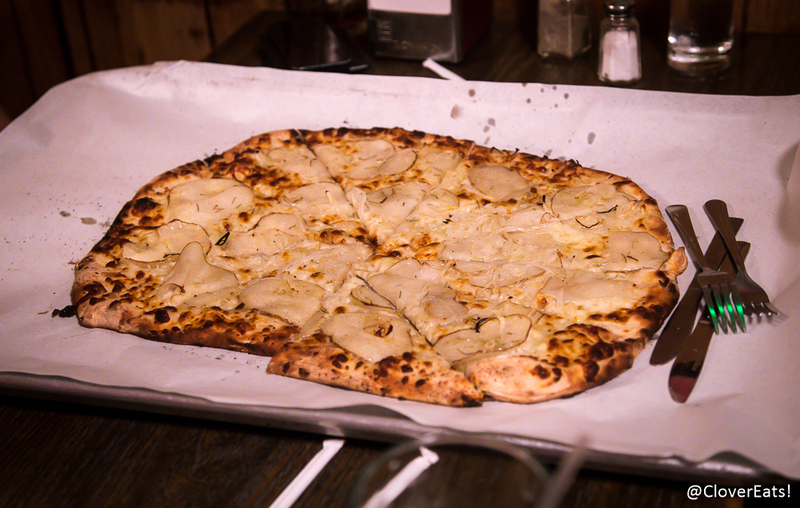 We heard great things about this ‘pie’ – before I came to New Haven, I never would have imagined putting potato on pizza, but everywhere I look seems to offer it. Sally’s ‘pies’ are thin-crust pizzas baked in a coal-fired oven, so get a little burnt and crispy around the edges and bottom. You can also build your own pizzas. 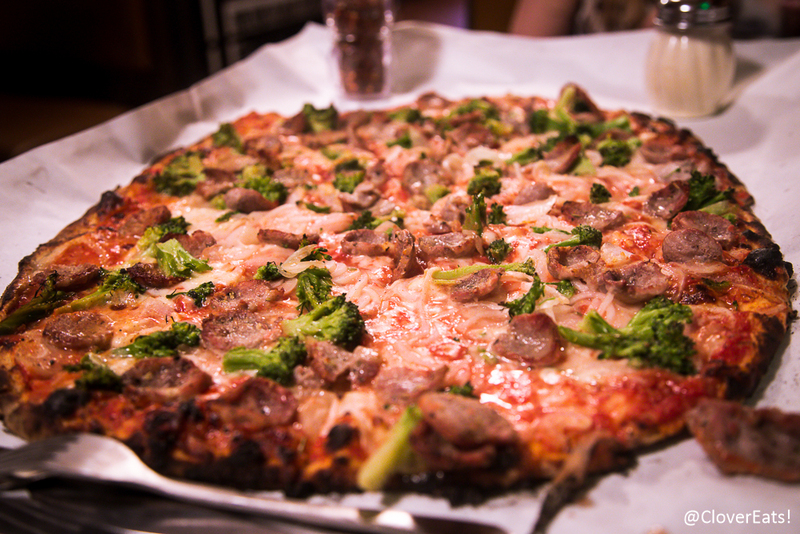 Here, we made one with sausage and broccoli. The waiter recommended getting two larges for our table of four, which was way too much, but we were all happy to take a few slices home with us. The pizza was flavorful, hot, and pretty good, but honestly, I was not super impressed. Also, they’re cash-only, seriously, in this day and age. Still, sounds like they have quite the loyal fanbase, so they must be doing something right.